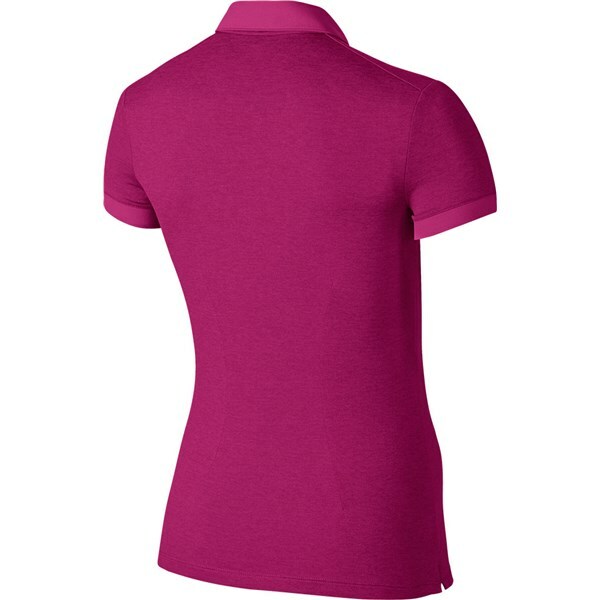 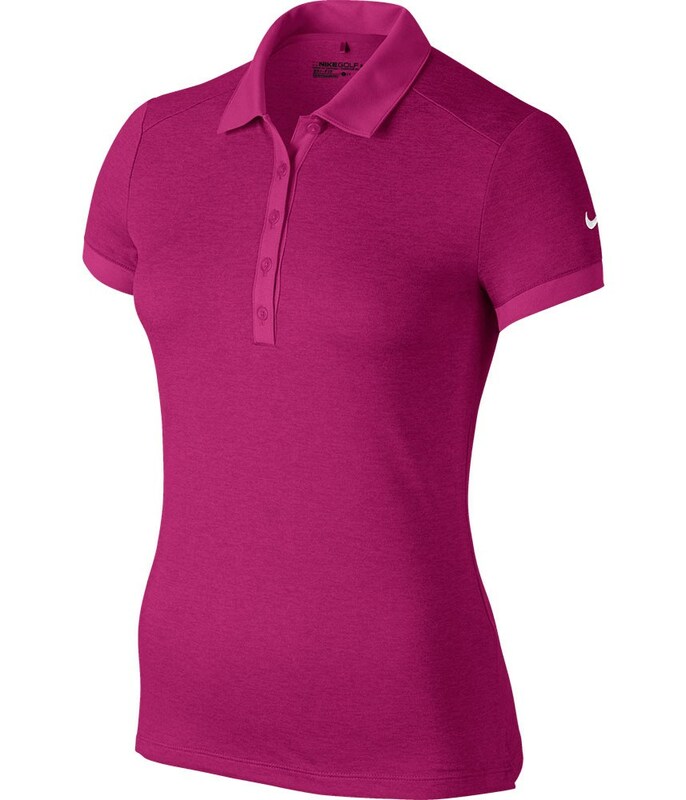 The Nike Ladies Dry Golf polo shirt uses a highly breathable and lightweight fabric to enhance the fit and your range of motion to increase comfort. 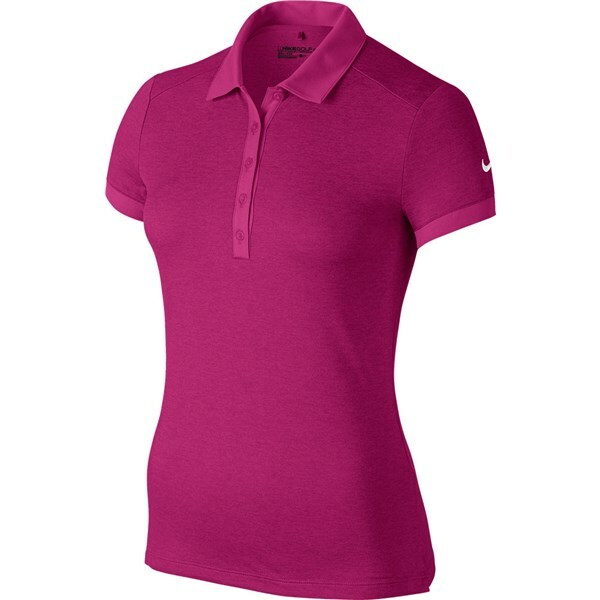 Nike have features their performance Dri-FIT fabric and Dry technologies that will combine to keep you dry, cooler and more comfortable in the heat. 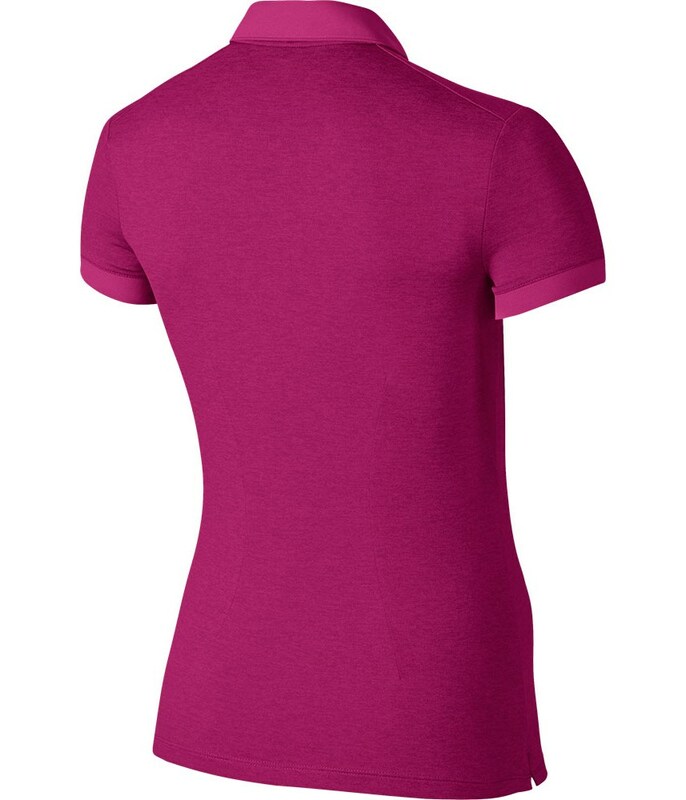 The lightweight fabric features seams down the back that provide a feminine silhouette for a more flattering fit. 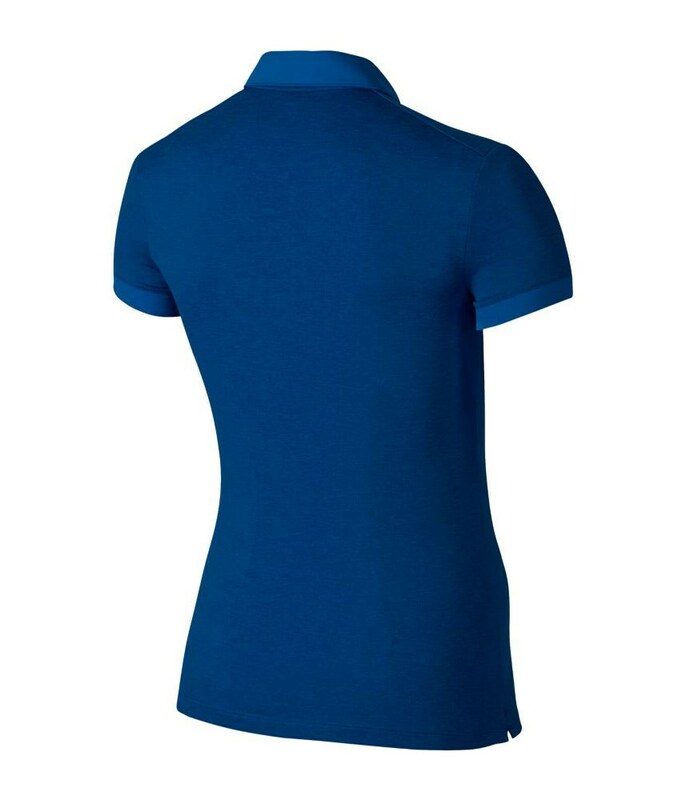 The small collar reduces bulk and the 5-button placket will allow you to custom the fit when you get a little hot under the collar. 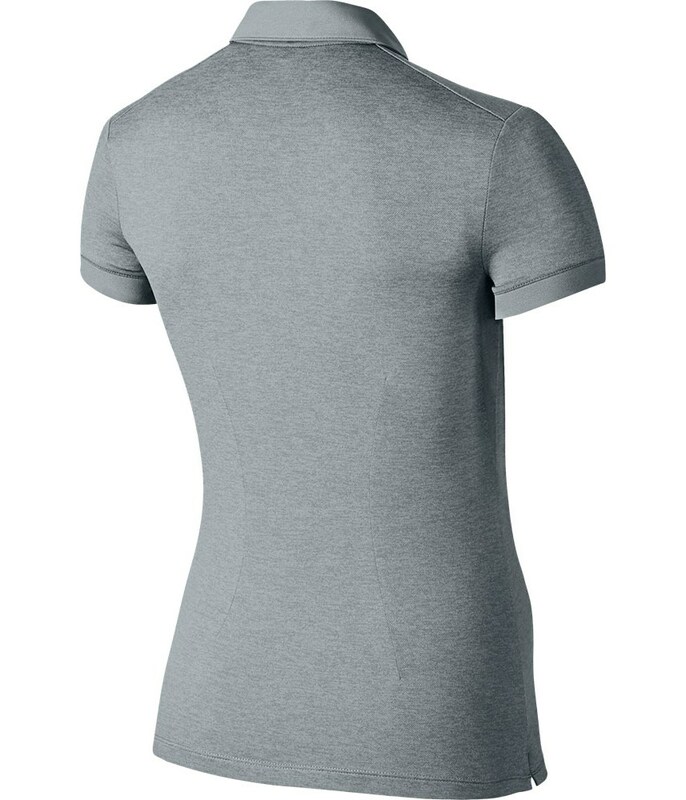 Seams down the back provide a form-fitting silhouette. 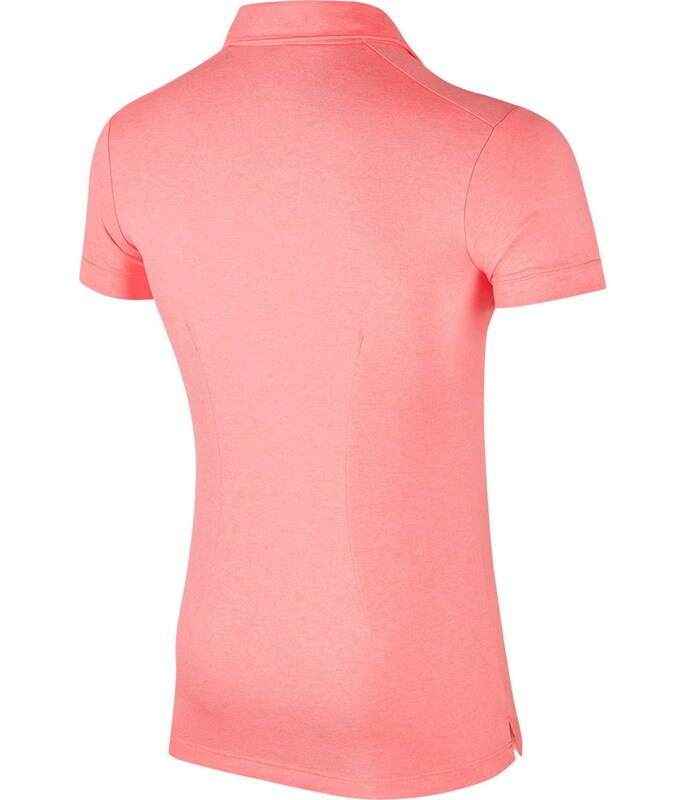 Lightweight jersey fabric has a heathered look.